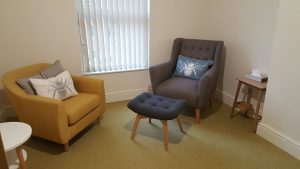 We offer specialist room hire to therapists, coaches, hypnotherapists, psychoanalysts, psychologists and counsellors working in South Yorkshire. Click here to see the rooms. Looking after our mental health is as important as looking after our physical health. Yet few of us pay the matter much attention on an ongoing everyday basis. There are times, however, when we may find we need counselling support to face the challenges life hands us. While at other times, when things are going well, we may benefit enormously from a little guided reflection and coaching inspiration to make a smoother transition to the next phase of our life or to reach a specific goal or ambition. We live increasingly busy and demanding lives. Whet Wellbeing offers a safe reflective space when you can pause and take stock. Paying attention to our thoughts and feelings means greater self-awareness which in turn leads to better decision-making. When we make better decisions our satisfaction in life improves along with our relationships and our sense of our own flourishing. At Whet, we take the view that human beings are designed for growth and, ultimately, to flourish. But we also believe that becoming your most authentic fully-functioning self doesn’t just happen by accident; it takes conscious effort and favourable conditions. Just like a seed needs sunlight, water and nutrients to grow, you need warm encouragement, non-judgemental acceptance, and a delicate balance of support and challenge. Together we can nurture your awareness of self and your capacity for self-responsibility and fulfilment. Working on your psychological health is the most important investment you can make. Working on your character and on your purpose and meaning in life will benefit you and everyone around you.